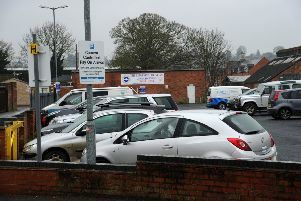 A regular commuter from Banbury train station has questioned why it is taking so long to reopen the toilets on one of the platforms. The gents, ladies and disabled loos on platforms three and four have been closed for months forcing passengers to use the toilets on the other side of the bridge or on the train. It is understood the toilets are blocked and Chiltern Railways says the repairs would require ‘substantial work’ – but no timeframe was given. The inconvenience has been particularly frustrating for Adrian Duke, who commutes to London for work and has a health condition meaning he often needs the loo in a hurry. “I think there’s a lot of issues about health and safety and discrimination that are being breached by a lack of suitable facilities,” he said. Mr Duke has made his own enquiries with Chiltern and has been told the work would require the station to be closed. Although this would be disruptive, the commuter from Kineton believes passengers would accept it if it meant the toilets could be fixed. “Any argument from Chiltern that they can’t close the station is rubbish as there are people who are suffering as a result of this,” he said. A big part of Mr Duke’s frustration is that there has been very little communication from Chiltern. Chiltern Railways customer services director Alan Riley said: “The infrastructure for the toilets on platforms three and four was built a long time ago and fixing these toilets will involve substantial work. “We are working with Network Rail to understand our opportunities for alternatives. “We appreciate this is frustrating for our customers and we’re working to find a sensible solution. The Banbury Guardian asked when the work may start but no response was received before going to press.